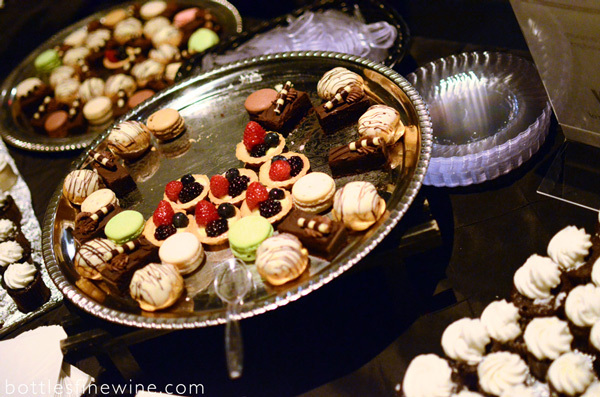 How To Throw A Blind Wine Tasting Party – New And Improved! A few years back we published a step-by-step instructional on how to throw a blind wine tasting party that featured a selection of red wines. It’s been such a hit – year after year it’s our most popular blog post – we’ve decided to reprise the original with the addition of a few new themes for your tasting pleasure. The wines in each of our new tastings are related, though distinct enough to allow you to differentiate them from one another. By tasting similar wines side-by-side, you can really learn how to focus your impressions and perfect your tasting chops. By tasting them blind, you’ll lose any preconceptions you have about particular labels and styles, and really allow yourself to understand what you like. You can use our guided tastings, or you can just select a few bottles that you like, and use our free, downloadable WINE SCORECARD and WINE TAGS to create your own tasting. 1. To get started, pick one of the tasting themes below, make your way to Bottles, and have one of our team members help you select the wines to match the theme and your wallet. 2. Have at least 1 wine glass for each guest, with a bottle of water and dump bucket nearby so they can rise out between tastings and easily dispose of tastes they’re really not into. 3. It’s also a really good idea to have light snacks on hand. Not only will a few bites keep your pals from getting too tipsy, they’ll also provide the opportunity to taste the wines with various flavors. Cheese is the natural wine pairing partner – and it’s easy to find a good selection at most all grocery stores these days. Look for a wide variety of cheeses, such as a mix of something soft (brie), something spreadable (fresh chevre), something aged and hard (aged gouda), sharp cheese (aged cheddar) and a blue (gorgonzola). 4. Put each wine in a brown paper bag (ask for them at Bottles! ), and afix our numbered WINE TAGS to identify each bottle. 5. Use our printable WINE SCORECARD so that guests can record their thoughts on each bottle. Be sure to have a few pens/pencils on hand. 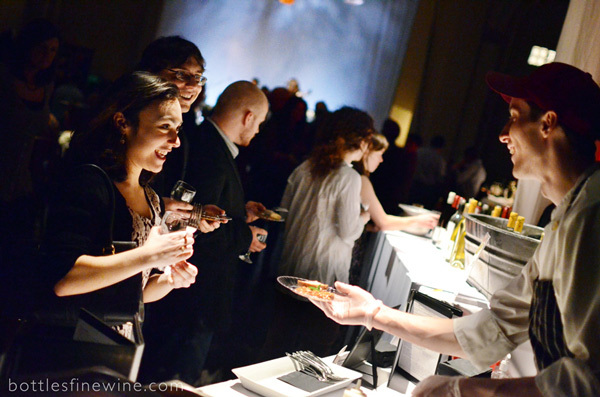 Share with your guests the theme of each tasting so that they have a general sense of what they’re looking for. 6. Once you and your guests have tasted each wine, take turns guessing what each bottle is before you do the big reveal. 7. Once you’ve unmasked each wine, feel free to use our guide and general descriptions to see if your guests’ impressions are in sync. BUT: It’s incredibly important to note that this is not a graded test! If what you taste doesn’t match what we’ve written – that’s ok! What’s most important is that you and your guests explore different wine styles and enjoy each other’s company. This is a great, fun tasting to have with friends at a summer barbecue. Just open a handful of delicious rosés and see if folks can guess which is which! Here’s a hint: with rosés, look for color as a good indicator of weight. Typically the darker the color, the heavier/more bold the wine. 1. A light rosé from the Cotes de Provence – It’s the birthplace of rosé, and experiencing Provence is essential to getting to know good rosé. Made from a blend of grapes, Provencal rosés can range wildly in terms of style and quality, but a good mid-teen priced example should do just fine. Provence is in the South of France, and these wines will be light, dry, lean and minerally. 2. A heavier rosé from Tavel or Bandol – Now Bandol is actually sub-region within Provence, so this may seem silly to be listed in here, however the folks here make a very distinct style of rosé. Bandol rosés tend to be fuller and more bold. They are, however, somewhat pricey. An alternative that will still deliver the heavier body would be a wine from Tavel. Both Bandol and Tavel tend to be darker in color. 3. Rosé of Pinot Noir – These can be really fun, as they tend to be light and easy drinking. They can be pricey as most pinot noir is, but in a blind tasting they can often act as a curveball. Look for some out of Oregon or California. 4. A rosé from the Loire Valley – These delicious wines are made from cabernet franc which creates a unique rosé that should stand out from most other styles. Look for a touch of weight with less acid than the others. 5. Your favorite – Select your ‘go to’ rosé that you already love and see if you can pick it out from the field, and see if you still love it more than the others! Have fun with this tasting, where you and your guests will try to tell one classic white wine from another. 1. Chardonnay – This classic white can have many different faces. 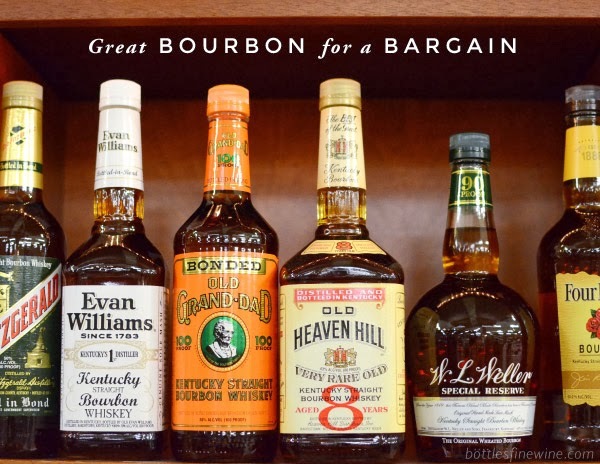 For this tasting, you’ll want to select one that has been oak-aged. Tasting Tip: You’ll find round, buttery flavors in this wine, all due to the oak-aging. 2. Pinot Grigio – This one may give you the most trouble to nail down. It’s a bit of a chameleon, and can have lots of the characteristics of other whites, but you should be able to place it, given its light body and restrained fruit flavors. 3. Sauvignon Blanc – These tend to have higher acid levels than most, and you will know this because they will make the back sides of your mouth water after your first taste. New Zealand examples tend to have very pronounced grapefruit-like flavors so may be another give away. 4. Chenin Blanc – There are many grapes you could pick for this fifth spot, but we like to use chenin blanc, the main grape in like Vouvray in France or Steen in South Africa (or just “Chenin Blanc” in the USA). Its floral aromas and light body are delicious — this is a curveball bottle, for sure! 5. Riesling – Look for one with a medium sweetness level so as to further differentiate this wine from the others. You’ll likely find floral notes and ripe fruit flavors like peach or lychee. This is a classic blind tasting that can really sharpen your skills. The idea here is to take two wines made from the same grapes, though from different regions of the world, and taste them blind, side by side, and to guess which was made where. Old World Wines are typically from countries that have been making wine for millennia, and adhere to strict wine-making rules (Italy, France, Spain). The wines are usually drier, earthier, with balanced fruit, acidity and tannins. Old World wines dazzle you with elegance and finesse. New World Wines are generally from countries that discovered wine making during a more recent century and are not typically bound to traditional wine-making methods (USA, New Zealand). They tend to be bigger-bodied, and have much bolder fruit flavors. New World wines blow you away with their power. 1. Pinot Noir from the Old World. We suggest a relatively youthful ‘Bourgogne’ style from Burgundy, France. The trick here will be price point, as Burgundy can get expensive, but you should be able to find a good bottle for around $20 – Bottles is a great place to look! 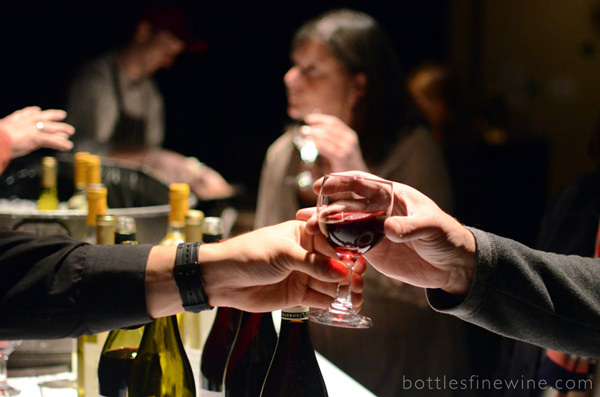 Tasting Tip: In the Old World pinot, you’ll find more earthy, leathery and restrained notes. 2. Pinot Noir from the New World, either California or Oregon would be great picks, as long as the wine is made from 100% pinot noir grapes. Tasting Tip: In the New World expression, you’ll find brighter, fruiter notes. 3. Old World Red Blend. The classic to look for here would be a Bordeaux blend, ideally one from the Left Bank, which will tend to be more Cabernet Sauvignon based. All Bordeaux wines are blends, and each sub-region has its own style, but for your tasting here that shouldn’t make a difference. Tasting Tip: This wine will be more fuller bodied than the pinot noirs, with lean fruit flavors, balanced by fresh tobacco and earthy notes. 4. New World Red Blend – California has a tremendous amount of red blends, but Australia and South Africa will have lots as well. Try to find one that has a good amount of cabernet sauvignon if you can. Tasting Tip: This wine will have more pronounced fruit flavors than the Old World red blend. 5. Old World Nebbiolo-based wine. This is a fun curveball, as it has flavor profiles similar to both Old World and New World styles. You’ll find fruit notes, as well as earthy, floral aromas. We hope you have fun with your party – tag us with your photos! This entry was posted in Learn About Wine, Other, Party Ideas and tagged blind wine tasting, party, tasting on August 18, 2017 by bottlesfinewine. 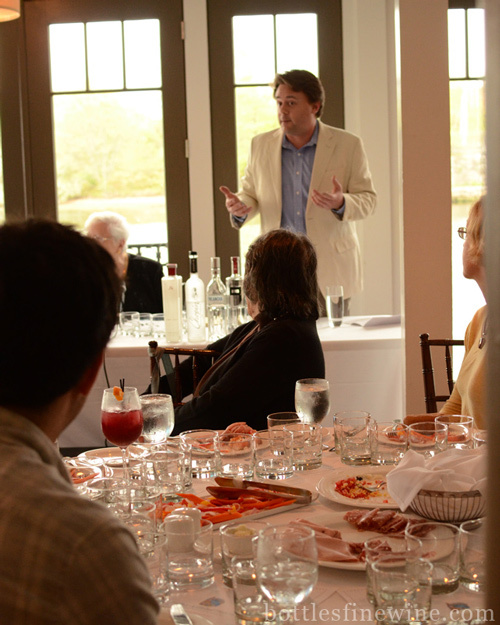 Learn How to Taste Wine Like a Pro! 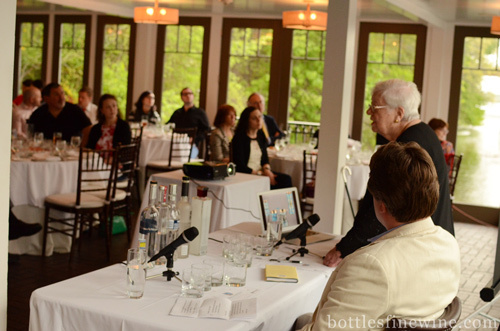 We all know how to drink wine, but do you know how the wine experts at Bottles taste a wine? Here’s a short video tutorial with the Bottles Wine Director, Nick Shugrue, that shows you how he does it. The steps are simple, and they can help you quickly assess the aroma, color, flavors, and mouthfeel of a wine. Cheers and enjoy! This entry was posted in Learn About Wine and tagged how to, information, taste, tasting, video, wine on June 18, 2014 by bottlesfinewine. 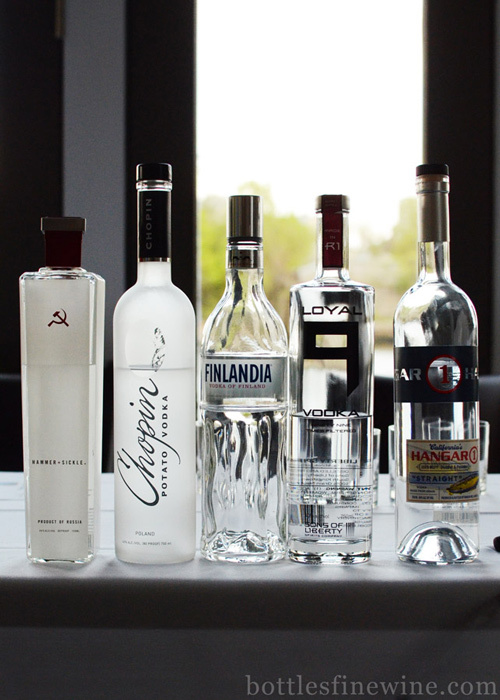 Vodka is defined as an odorless, colorless, tasteless alcoholic drink in the United States, and is not much of a challenge for bartenders to mix. However, if you don’t make a cocktail with it, vodka exists as a very pure spirit, where noticeable differences in aromas and flavors arise with different vodkas. 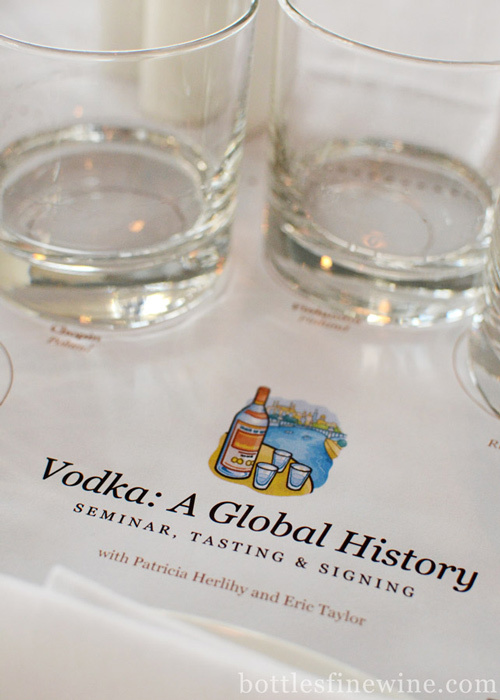 With this thought in mind, vodka became the star of the most recent Bottles event: Vodka: A Global History: Seminar, Tasting and Book Signing. 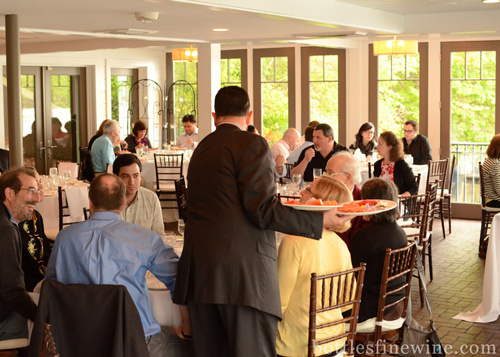 On a warm spring evening, attendees gathered at Waterman Grille‘s Riverview Room, set on the banks of Seekonk River in Providence, Rhode Island. 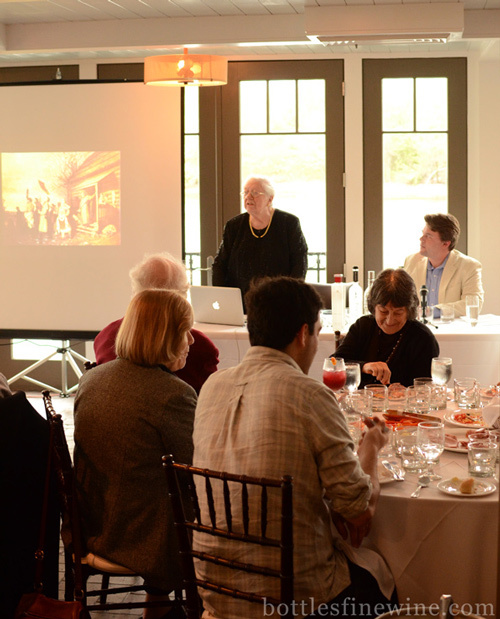 Folks tasted 5 vodkas from around the world as Patricia Herlihy and Eric Taylor talked about the history of vodka. 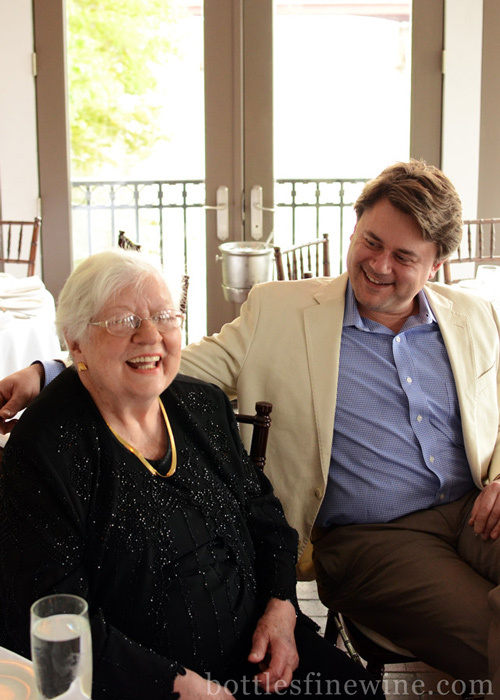 Patricia Herlihy is professor of history emerita at Brown University and its Watson Institute for International Studies, where she taught Russian and Soviet history. 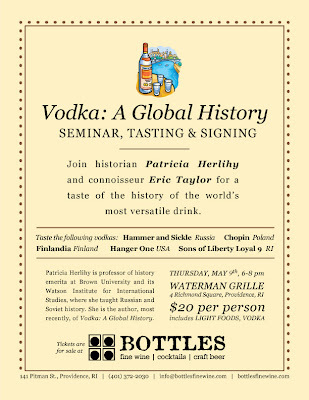 She is the author, most recently, of Vodka: A Global History. Eric Taylor, Bottles General Manager, is an enthusiastic vodka connoisseur whose favorite part about his job is education. “I came into vodka through the back door. I studied temperance first, and then I saw the light. This book is the product of my conversion,” began Patricia at the start of the seminar. 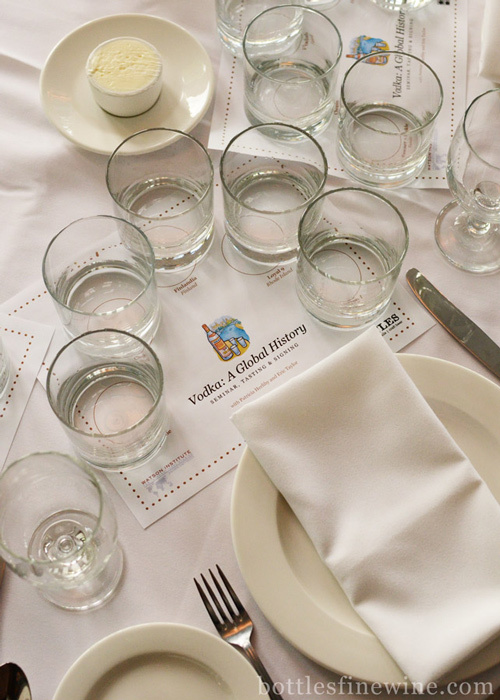 The tasting was organized geographically, starting from Russia and then moving westward to Poland, Scandinavia, and finally to North America. Along with light appetizers, guests sampled Hammer + Sickle, Chopin, Finlandia, Hanger 1, and last but not least, Loyal 9 by Sons of Liberty Distilling in South Kingstown, Rhode Island. 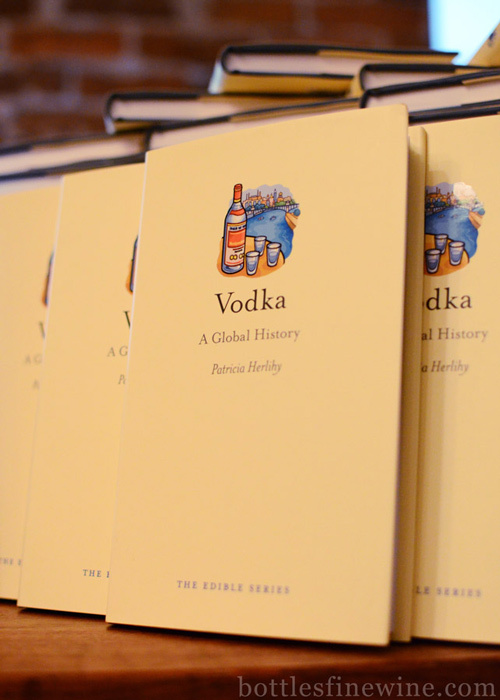 For an engaging history of Vodka, we highly recommend reading Patricia’s book, Vodka: A Global History. or sign up for our newsletter at www.bottlesfinewine.com. 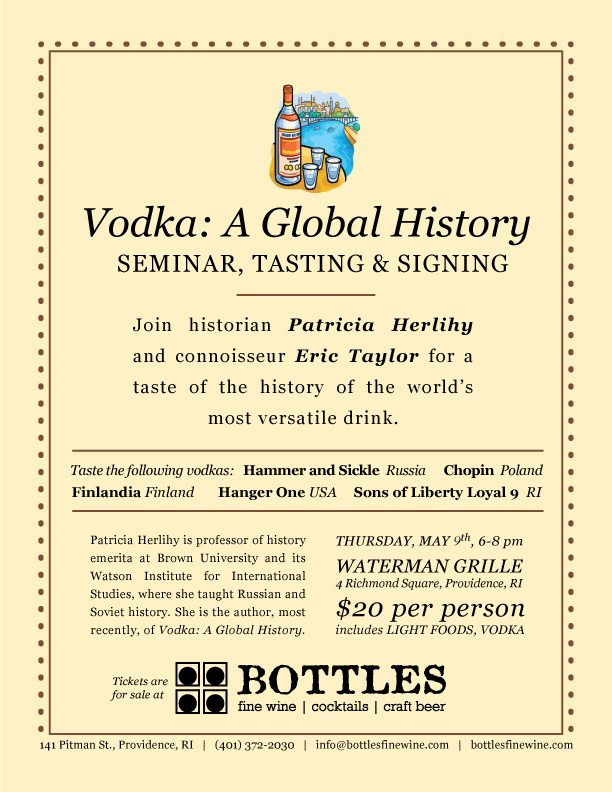 This entry was posted in Learn About Spirits, Other and tagged event, patricia herlihy, providence, ri, tasting, vodka, vodka a global history on May 15, 2013 by bottlesfinewine. 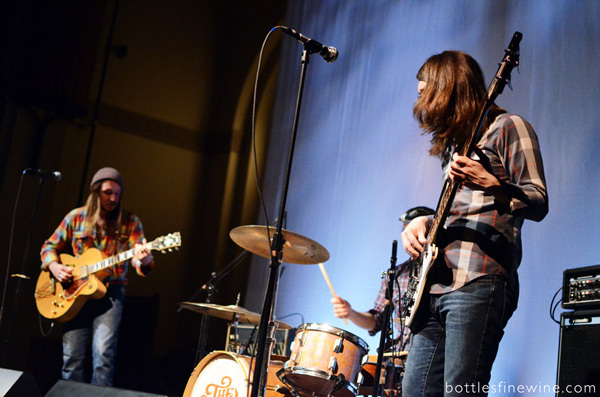 This past weekend, right here in Providence, Rhode Island, Bottles Fine Wine was honored to be a part of Red White & Blues 2, an event to benefit Trinity Repertory Company. 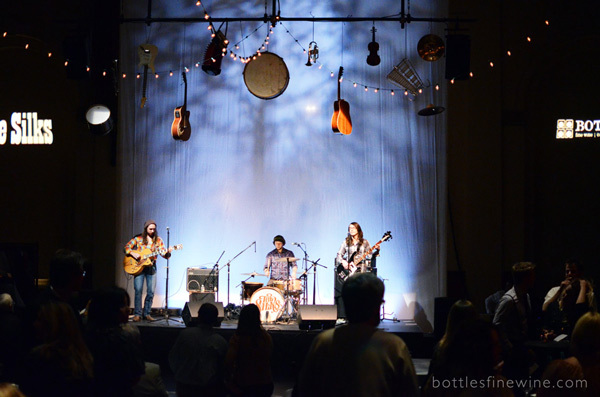 Attendees enjoyed a tasting of wines from around the world, tasty food by local restaurants, and dancing to the The Silks, a popular local blues band. 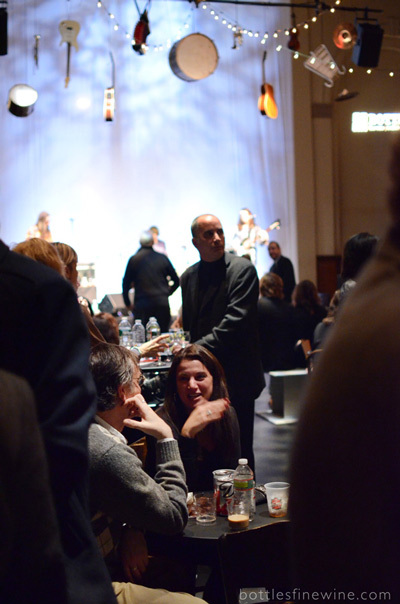 The casual evening at the Pell Chafee Performance Center was a great success, with proceeds benefiting one of the most respected regional theaters in the country. 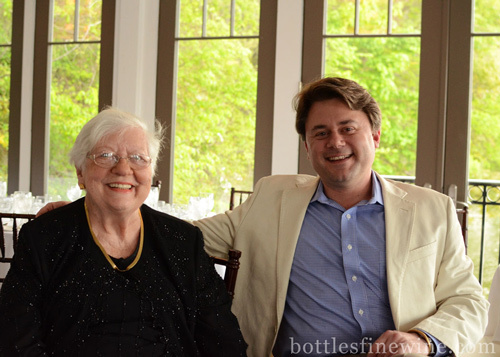 Red White & Blues 2 was co-chaired by Gil MacLean and his wife Michelle Collie, and sponsored by Bottles Fine Wine. Red White & Blues 2 also featured several local restaurants, including Nicks on Broadway, Local 121 and The Roi. 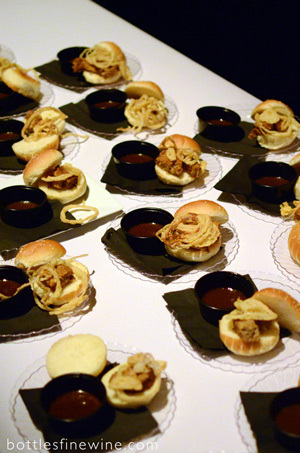 Guests enjoyed beautiful pastries, mini-burgers, and much more throughout the night. “Test your Palate, Taste to Win” was a fun game where contestants blind-tasted 6 wines, and had to correctly guess which wine was which. Those with the most correct entered a drawing to win 2 nights at a luxury hotel on Martha’s Vineyard. Wine Distributors: Bordeaux Traditions, M.S. Walker, Wine Wizards, & Best Beverage. 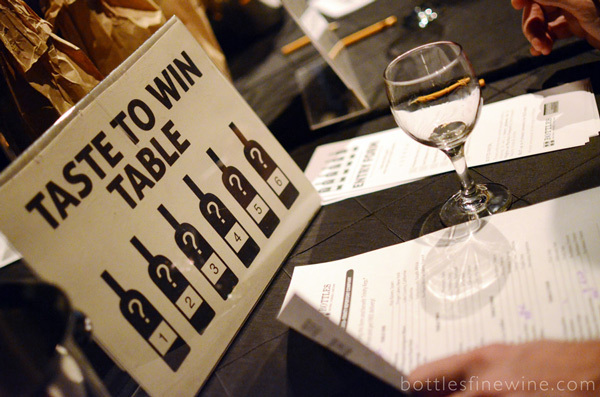 This entry was posted in Bottles for the Cause and tagged bottles for the cause, events, providence, ri, tasting, trinity rep, wine on January 16, 2013 by bottlesfinewine.